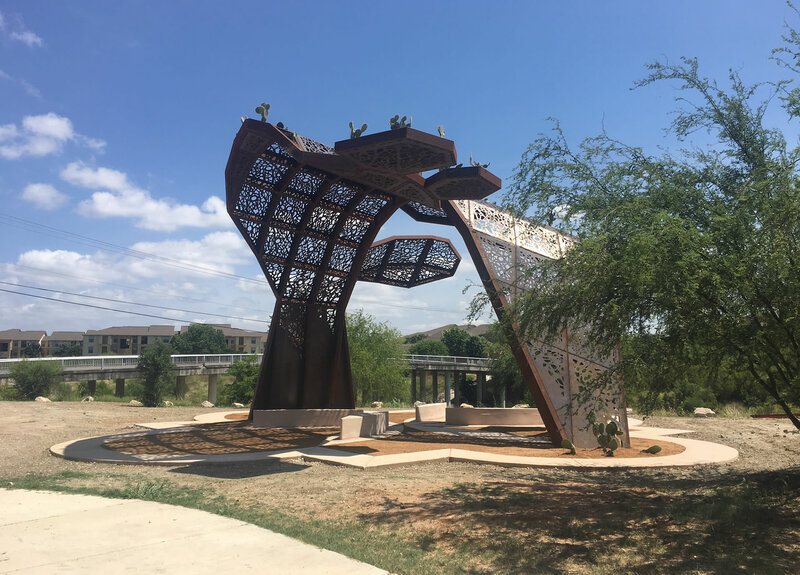 As the art portal leading people from the nearby San Antonio Riverwalk towards Mission San José via Mission County Park, “CoCojibos” serves to bridge between the historic themes of Mission San José and natural world of the San Antonio River. 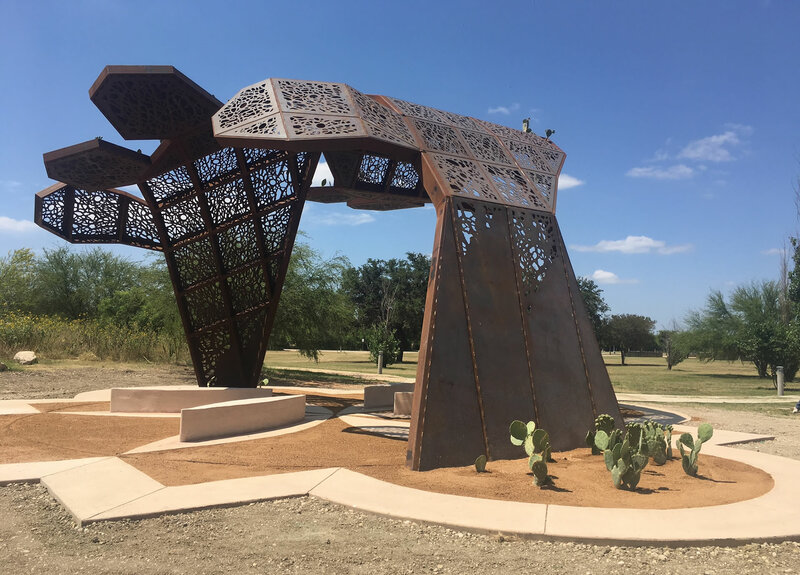 “CoCobijos,” a name invented by internationally exhibited, conceptual artist and Texas native, Mel Chin, means “co-shelters.” Two faceted cactus-like pads arc in a supporting embrace, appearing to hold each other up. 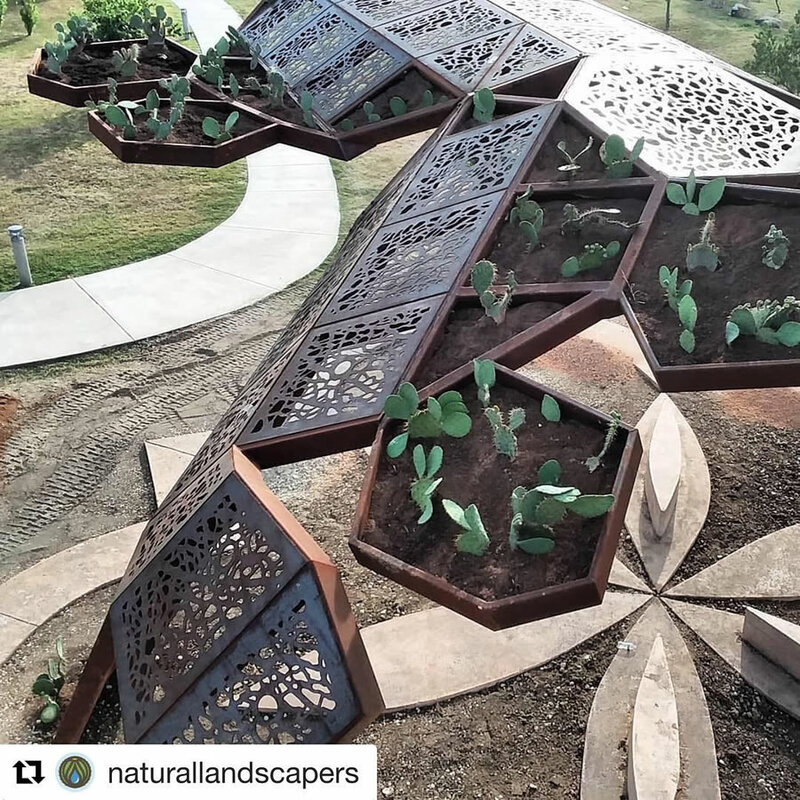 After seeing prickly pear cactus on a roof of Mission San José, the artist thought about how these plants nurture people and animals alike and their resiliency in the face of time and Texas’ climate. 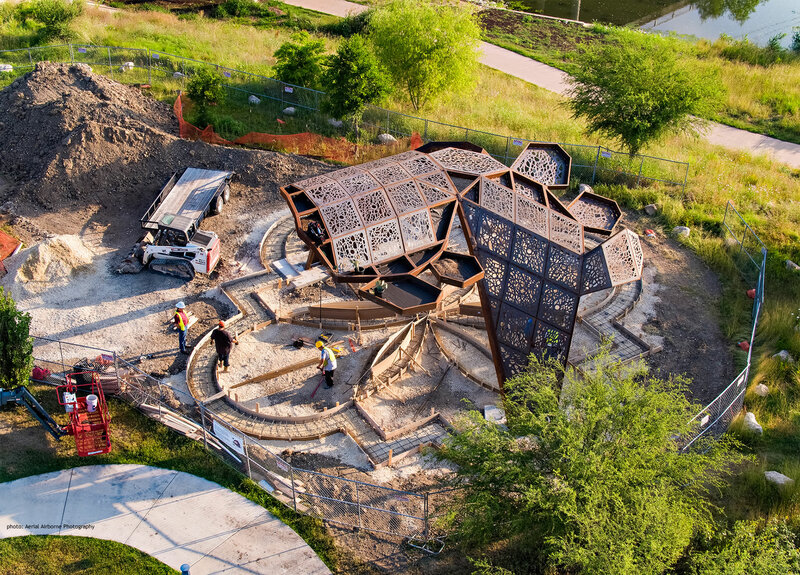 Echoing the geometry and beautiful lattice pattern of the internal structures from actual San Antonio nopal plant specimens, this shade structure stands in Mission County Park to give relief from the sun. 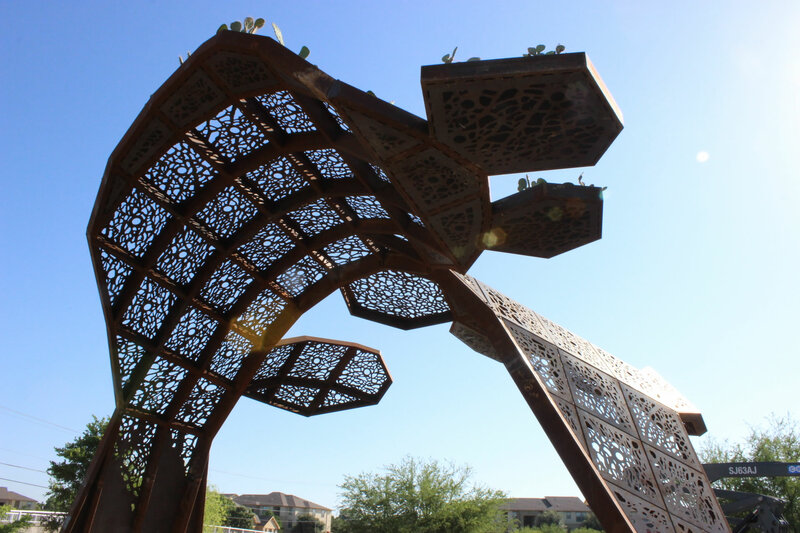 In planters above, living plants create a green canopy. 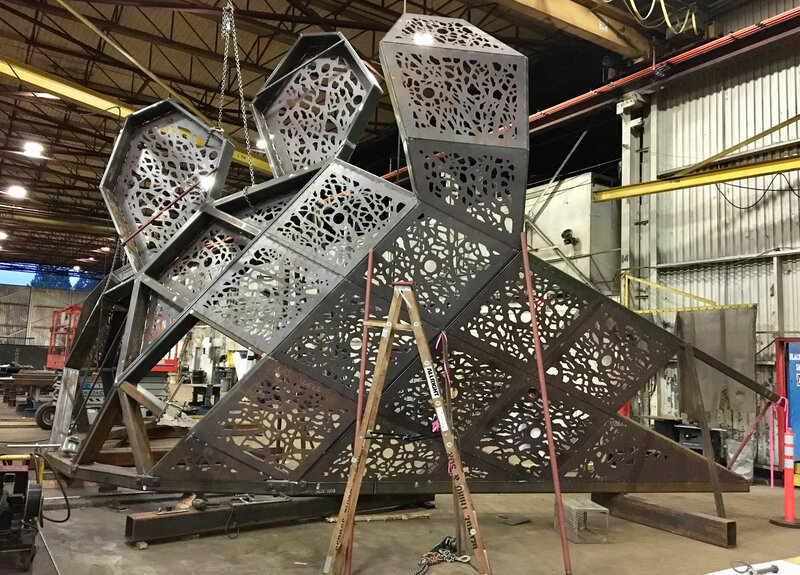 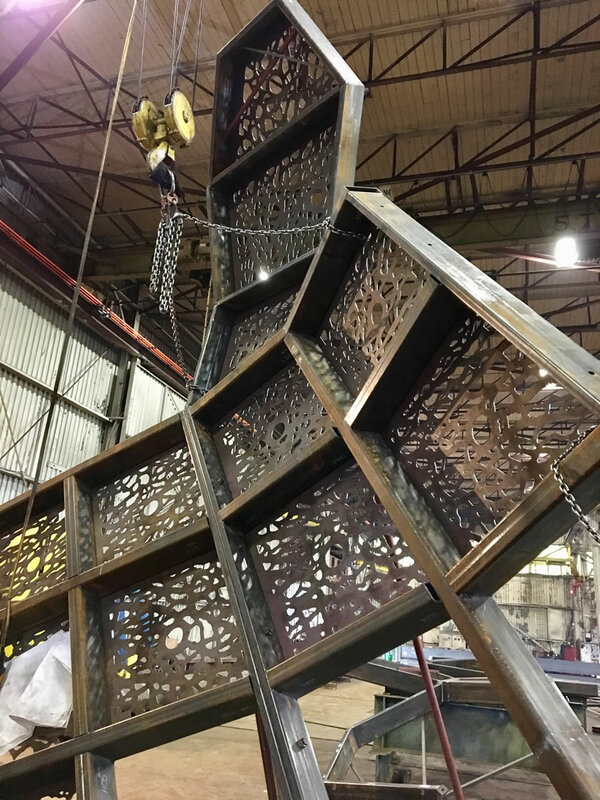 The abstract form of the structure is intended to visually change shape as people pass through and around it, while the shadows shift as the day progresses.